When Republicans passed their far-reaching tort reform bill last year, they did away with the effects of a 2005 state Supreme Court ruling that made six paint manufacturers potentially responsible for a Milwaukee boy’s lead poisoning. Now, in a move that raises constitutional questions, Republicans want to apply the new court standards to cases already in court. The proposal, Senate Bill 373, would invalidate so-called “risk contribution” theory by requiring plaintiffs in 173 pending cases to identify the producer of the paint that poisoned their children. The risk contribution theory, adopted by the high court, allowed the family of Steven Thomas to sue the paint companies even though the family couldn’t identify which company produced the paint that poisoned him. The theory was not new. It was adopted by the state’s high court in 1984 in Collins vs. Eli Lilly, a case that dealt with the miscarriage-prevention drug diethylstilbestrol, which was linked to vaginal cancer. In the Thomas case, the Supreme Court ruling did not decide it. It only allowed the lawsuit to proceed. If the companies lost, they would share a degree of liability for producing the paint. Peter Earle represented Thomas and is the attorney for the 173 children in the current cases. On Thursday Earle said at a state Senate judiciary committee hearing that he’d never seen litigation that changed the rules in pending court cases, and for the benefit of specific litigants. “It’s obnoxious. It’s onerous. It’s something that I would expect to happen in North Korea, not the United States of America,” he said. The bill, introduced only last week, is moving at breakneck speed, getting a hastily scheduled public hearing on Thursday. Introduced by Sen. Glenn Grothman, R-West Bend, the proposal also apparently has the blessing of Republican leadership. Senate Majority Leader Scott Fitzgerald has signed on as a co-sponsor. “When a court does something that’s as outrageous as (the Thomas ruling), when they retroactively tell businesses that were producing paint in 1900 or 1910 that not only can you be liable for damages … but you have to be liable for any paint produced by any paint company in the United States in 1900, obviously you can’t operate commerce with that type of decision made,” Grothman said at the hearing. Business interests were also enraged by the Thomas decision when it came out in 2005. In fact, they launched a successful electoral crusade to tilt the liberal court toward the conservative side. In 2008 the author of the Thomas decision, former Justice Louis Butler, lost his bid for reelection after business interests spent millions to back Michael Gableman, an obscure, conservative circuit court judge. Grothman said Thursday that the pending lead paint cases were “filed at the last minute” to beat last year’s Feb. 1 enactment of the state’s “tort reform” bill, but Earle said he filed his cases before the law was even proposed, some as early as 2006. Grothman didn’t restrict his comments to the bill. He questioned the notion, which has been well-documented over decades, that paint in the home can cause lead poisoning. “Quite frankly, it’s scandalous that lawyers are leading people to believe that the lead paint in these houses is responsible for the increases in the (lead) levels in their blood,” he said. Earle cited state health department statistics showing that Wisconsin is far above the national average in lead poisoning, and that the bulk of poisoning cases are concentrated in inner-city Milwaukee. Earle, who showed up with several of the children he is representing who suffer from lead poisoning, said he was offended by Grothman’s comment. Earle also charged that the bill is an inside job, designed specifically to circumvent litigation in the Seventh U.S. Circuit Court of Appeals, where the cases are being litigated. He said the parties were arguing the case on Jan. 9 and word that the bill had been drafted prompted the paint industry attorneys to cut arguments short. Two hours later, he said, Grothman sent out an email instructing the Legislative Reference Bureau to ready the bill. “I believe it was put in the hopper so the six lead paint manufacturers had it in their back pocket, depending on how they saw the litigation in Chicago going,” Earle charged. Grothman didn’t deny that the bill was designed to help the paint industry by eradicating the effects of the 2005 Supreme Court ruling. Questioned by state Sen. Jon Erpenbach, D-Middleton, about the origin of anonymous memos in the bill’s drafting documents that were incorporated in the bill, Grothman said he didn’t know where they came from. “I’ve never seen it before,” Erpenbach said about the insertion of an anonymous memo in the drafting documents. 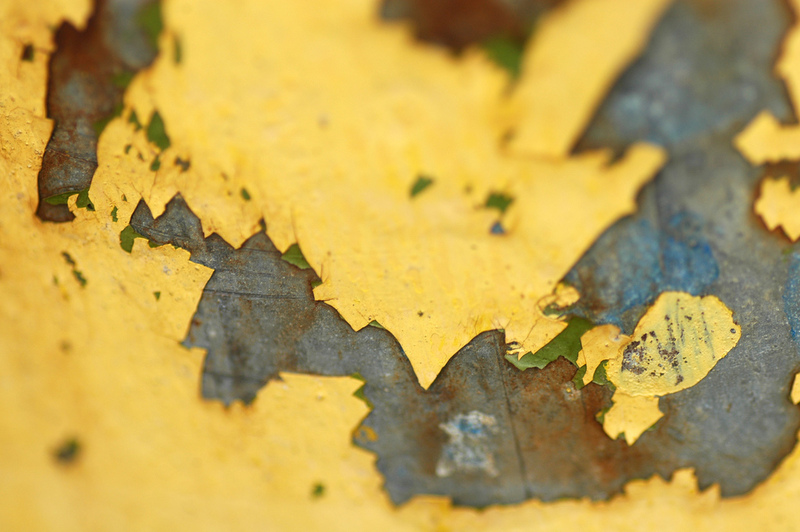 Critics say the bill could go much further than just protecting the paint industry.